Running since 2002 the PokerStars Wold Championship of Online Poker has grown to be the biggest (and richest) online tournament series the world has ever known with this year’s Super High Roller worth a massive $102,000. Thousands of fans gathering for the biggest ever buy-in poker tournament in WCOOP’s history and the excitement was tangible. A great deal of kudos goes to the overall advancement in technology besides the increased speed of Wi-Fi, for without these advancements we would never be able to enjoy and take part in so my variations of our favourite games so easily. We can now source the best online casino straight from our mobile devices if we so choose, and once more we can use our regular password and funding methods to put money into our accounts knowing that it is quick, safe and secure, and the measure of this advancement with the possibility of earning some serious prize money is nowhere more apparent that at WCOOP. The first ever WCOOP took place in July of 2002 with nine events featured and in excess of $730,000 of combined prize money up for grabs. The main event attracted 238 players, which created a prize pool of $238,000 and was won by MultiMarine, who lived in Sweden. In 2003 the series had eleven events and had a mix of Hold’em, Stud and Omaha tournaments. Players came in their droves as this was the first WCOOP after the amazing World Series win of Team PokerStars Pro Chris Moneymaker. A couple of years down the line and WCOOP was even bigger with a total of $12,000,000 in prizes which doubled the previous year’s total (2004). There were 15 events and almost 20,000 players. This year the series was played out in September and has been in this month ever since. With a total of 1,494 players contesting the main event, the prize pool was an exceptional $3, 735,000. By 2007 there were a total of 23 events, and short-handed tournaments appeared for the first time. The prize pool was over the $20,000,000 mark and more than 40,000 players from over 100 countries to part with a massive number sitting down for the main event (2,998). The main event also saw the first ever WCOOP million dollar prize. 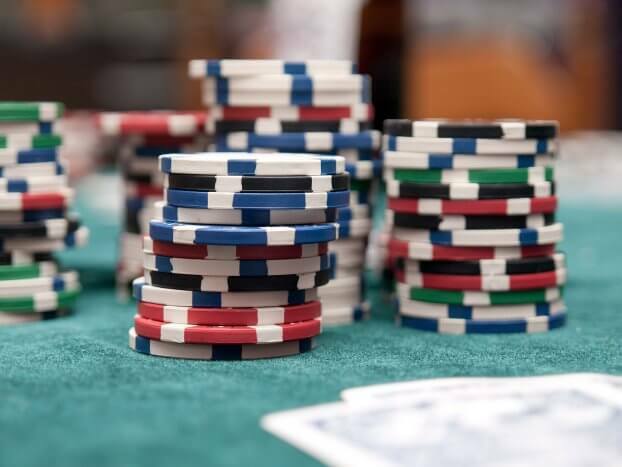 In 2009 the World Championship of Online Poker was one of the largest tournaments ever to be staged with players from over 140 countries taking part over 45 events and the whole tournament lasted 18 days. The combined prize pool was a mega $51,652,800 and this year was to be special as there were three double bracelet winners. 2010 saw poker records smashed with 62 events running over 23 days and an incredible $63,157,150 in prize money was won. Team PokerStars Pro Jason Mercier won the coveted bracelet this year. 2012 brought with it 65 events and prize awards in excess of $55,522,590. The main event attracted a massive field of 1,825, out of those 225 got paid. At the WCOOP 2013 there was a huge $62,362,757 awarded across a total of 66 events with the main event being won by German’s PlayinWasted with two more German players finishing in the top three. There was 66 scheduled events in 2014 with prize money worth $61,934,886 which smashed the championships $40,000,000 guarantee. The tournament lasted 22 days and had a massive $10,000,000 guaranteed main event which attracted in excess of 2,000 players. Austrian pro, Feor ‘CrownUpGuy’ Holz ended the two day event with the coveted winner’s bracelet together with $1,300,000 in cash. The 2015 WCOOP boasted 70 different events which awarded players more than $66,000,000 in cash prizes. This massive amount was a record with the main event paying out a guaranteed $10,000,000, and this was won by Belgium’s Coenaldinho7.